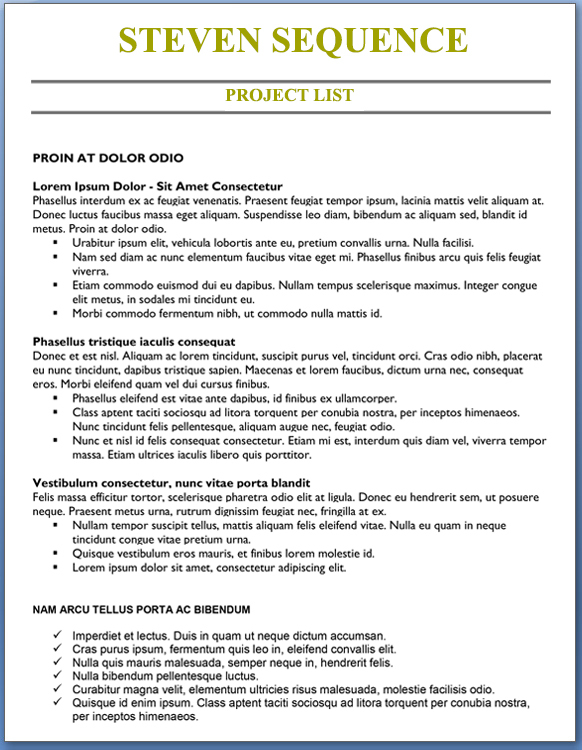 In many industries and professional fields a project list is an important complement to the resume package. As a Mid-Career / Professional Level Professional, using a project list as an addendum to your resume to show your accomplishments allows you to tell a more detailed, compelling story about the projects you have worked on, what your role was and how it contributed to the overall success of the effort. Sequence pioneered the practice of using Project Lists as an additional complement to the other key professional career materials in your complete professional career package. At this point in your career you have perhaps already worked on a few projects. Now is the time to organize these into a cohesive package that clearly define your role and contributions. Let our experts build out a compelling project list for you today. Once built, you will find it easy to amend and use it for all of your career search efforts. Well organized and written with the important details help sets you apart, and will be one of your most valuable branding tools in your job search. 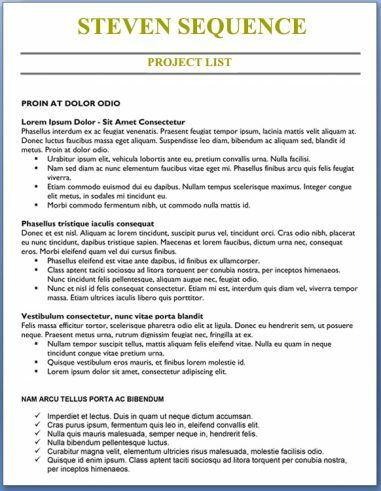 This customized project list is designed to showcase your qualifications, strengths and highlights that will make you stand apart from the competition. It’s exceptionally priced for just $199.95. Don’t delay, order your project list today!